What if we utilize Chiropractic to its greatest potential? You don’t need to have colic, ear infections, asthma or any other disease to receive the benefits of Chiropractic care. Can a government, political party, business, etc. take away your health insurance? Sure. But can any of them really take away your health? Only if you let them. Chiropractic is no more an ‘alternative medicine’ than medicine is an ‘alternative chiropractic’. How do you approach the care of your health? Do YOU take care of it at all, or do you let others take care of it for you? Do you even care about your health? I think there are three separate ways in how to deal with your health and the questions surrounding its care. Want to Make Health a Distant Memory? A vertebral subluxation adds some detrimental prefixes to our health expression. What is a prefix? A prefix is a word or letter combination placed before a word to modify its meaning. A vertebral subluxation modifies the means by which our health is expressed; and it modifies it for the worse. No Bones About It. Just Around It. The majority of people think Chiropractors are just “back” doctors because we focus on the vertebrae, or bones of the spine. But the bones themselves are only half of the equation when it comes to understanding the what (science), how (art), and why (philosophy) of Chiropractic. Just understanding the bone aspect of our work is only looking at the ‘structure’ part of the health equation and ignores the equally (if not more) important aspect of health: Function. This question was posed to me on YouTube and I wanted to share it with others if they have a similar question. Always willing to try and answer any question about Chiropractic I can, so please don’t hesitate to ask! To be a subluxation, it requires all the components of its definition to be present and identified. The only way to tell if all the components are present is to utilize all the instruments that answer the question: "What is it to be a subluxation?" 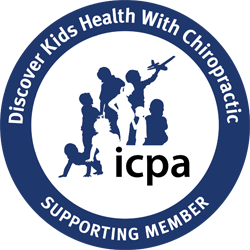 As a Chiropractor I am interested in the health of my patients and the community at large. We say and use this word “health” a lot; but do we truly understand its meaning and application? Chiropractic is principled. Principled in what? Well, let’s start by looking at the definition of the word ‘principle.’ The word principle is defined as “a professed rule of action or conduct; a fundamental law or truth from which others are derived; a fundamental tenet.” In my opinion, if you are going to conduct yourself professionally, you must affirm your alliance to that profession and the fundamental tenets that your life’s work is based on. 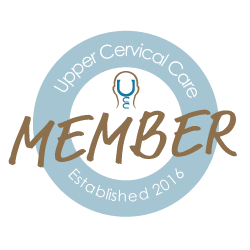 The further I go along in my understanding of Chiropractic, the more I see that "3 is the key.” A large majority of the principles and practices of Chiropractic are configured into three parts. All three parts must be known and comprehended before the full picture can come into view. The sun is the source of energy and life to the planet. Organisms like plants directly use sunlight to produce photosynthesis. Photosynthesis is the process by which plants convert sunlight into energy. Ever feel like your life is a little out of order? Disorganized even? Especially after the holidays? Want to start off the new year on the right track? January just so happens to be National Get Organized Month. But where to start? Well, I’ve always felt that the best place to start is from within. Your power is now turned on! Was it off in the first place? Some patients might have heard the phrase “Your power is now turned on!” after an adjustment or have used the phrase yourself as a chiropractor. This usually coincides with a lightbulb and a switch going from the “off” to the “on” position. This statement can be somewhat misleading. Was my power turned off in the first place? The answer: No… and yes. Breaking News! Germ Theory Disproved! In 1884! The germ theory is what modern medicine hangs its hat on as the major cause of disease in the world. Many people today believe that viruses, bacteria and other pathogens cause most of the diseases in the world today. What if there were exceptions to that theory? If there are exceptions to the “facts” then how does it continue to have merit?